If you begin to notice your central heating and cooling system isn’t running as efficiently as normal or you see what appears to be pooling water underneath the furnace or AC unit, it’s not quite time to panic just yet. Instead of viewing it as a sign that it’s time for a new HVAC installation, it could simply mean the system’s condensate line is clogged. When it isn’t properly cleaned from time to time, it’s prone to blockages, resulting in a leak. Turn Off the System & Inspect the Condensate Pan: The first thing you have to do is turn off the power to the system. Then, you can locate the condensate pan, which is usually positioned right under the unit. If you observe standing water, that’s a good indication of a clogged line. 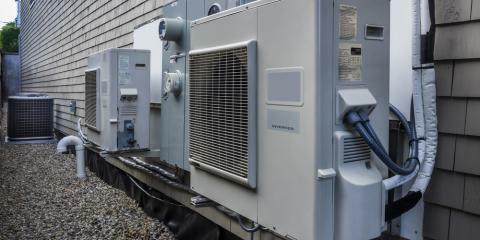 Connect a Suction Device to the Condensate Line: Next, find the condensate line by the outdoor units, and connect a suction device. Shop vacuums work well, and they can be held in place with a special attachment or duct tape. Let it run for a minute, and then, check the canister to see if the remnants of the clog are visible inside. 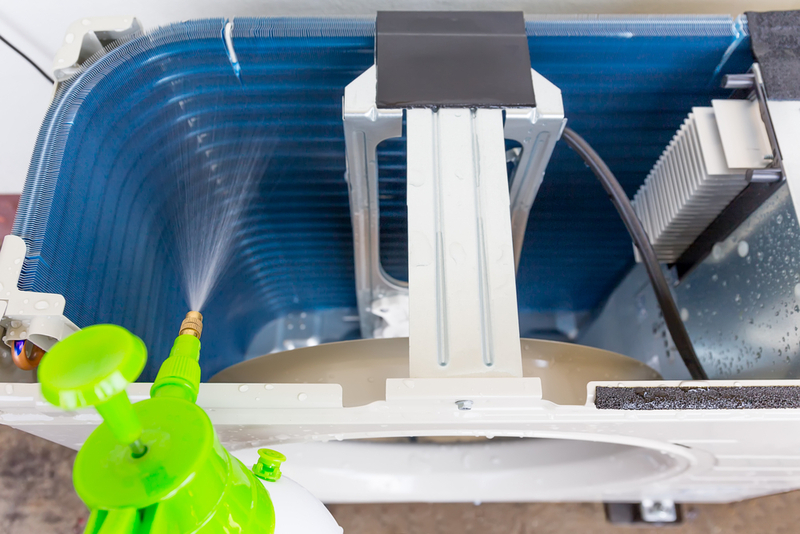 Flush the System: Once you think you’ve removed the blockage, you can clean the system and drain line by pouring in distilled vinegar, a hot water and dish soap solution, or peroxide. Flushing it will allow you to see if the clog is completely gone. Evaluate the Flow of the Drain Line: After the solution has sat inside the drain line for approximately 30 minutes, flush the pipe again with plain water. If it does not flow out freely, there may be a more challenging clog inside. Oftentimes, this process will be enough to completely remove the clog from your central heating and cooling system’s condensate line. However, if it doesn’t seem to work, there’s probably a larger blockage that requires the tools and knowledge of a professional. For additional information on HVAC maintenance, contact Montgomery Heating and Aire by calling (870) 435-1501. You can also visit them online to learn more.